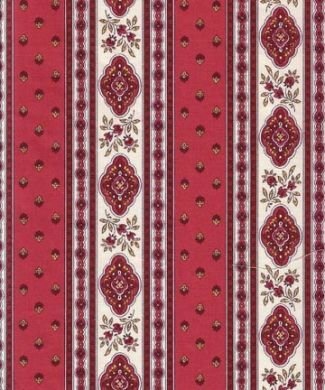 This berry-colored French cotton print has fifteen 2.75'' bands repeated across the 61.5'' wide fabric. The image shown is approximately 8 inches wide. Priced per yard. Half yard minimum.